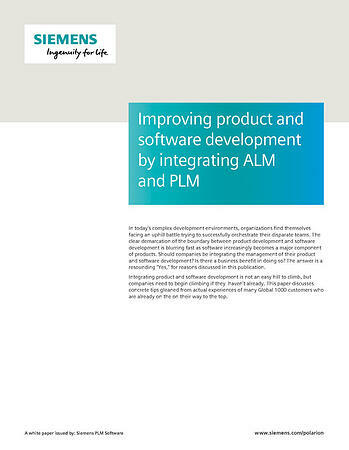 Download now: "Improve Product and Software Development by Integrating ALM and PLM"
In today’s complex development environments, organizations find themselves facing an uphill battle trying to successfully orchestrate their disparate teams. The clear demarcation of the boundary between product development and software development is blurring fast as software increasingly becomes a major component of products. Should companies be integrating the management of their product and software development? Is there a business benefit in doing so? My answer is a resounding YES, for reasons I’lldiscuss in this publication.